Laura Porter Blackburn was born and raised in Louisville, KY. She matriculated at Brown University in Providence, RI and later received a Master's of Arts and Humanities in Dance and Theatre from SUNY Buffalo, focusing on Contact Improvisation (a form of postmodern dance in which points of physical contact between two dancers and the earth provide the starting point for exploration through movement improvisation) and mixed-media live art installations. After 4 years of studying Pilates in Buffalo, NY and with Deborah Lessen in NYC, and a year of kinesthetic anatomy with Irene Dowd, Laura moved to Boulder, CO for the Teacher Training Program at The Pilates Center, which she completed in 2000. She then relocated to Paris, France, where she co-opened Centre Pilates de Paris in 2001. There she also met her husband Gionatan Surrenti who also practices, performs and teaches Contact Improvisation. In September 2003, they moved to Orvieto, Italy, where Laura continued her own movement practice of CI and Pilates, developing concepts behind “Movement Education toward True Health” and opening her own small studio, called Core Fluency Pilates. During this time in Orvieto, Laura and her husband also home-birthed their two children, Maya and Mattia Surrenti. In early 2009, Laura and her family moved home to Louisville. Laura continued to evolve “Core Fluency Pilates: Movement Education toward True Health” to include newer concepts—‘alive as we are meant,’ ‘stewardship of the body and stewardship of the planet,’ ‘replace ambition with curiosity,’ ‘tension masks sensation,’ ‘the small dance we do with the equipment.’ This work continues to inspire her to awaken the full potential to THRIVE in the human body, and in the surrounding community. In July 2011, Laura opened Core Fluency Pilates in the Clifton Neighborhood, realizing a dream to create a teaching center for the Classical Pilates work in Louisville. Shortly thereafter, she became a Pilates Method Alliance certified teacher, completed TPC’s Master’s program, and in 2013 became a TPC Host Advisor/Host Studio to help mentor trainees through the myriad TPC training programs. Laura is CPR certified and can teach Pilates Italian, French and English. Master Instructor Laura Porter Blackburn graduated TPC Advanced Program in 2000, and taught abroad until 2009. After returning to the US, she completed TPC’s Master Program in 2012. Laura became a TPC Host Advisor in 2013, and currently runs CFP as a TPC Host Studio. She was accepted into the TPC’s 2-year Post Graduate Program this past January, and in July will become a TPC Licensed Teacher Trainer. 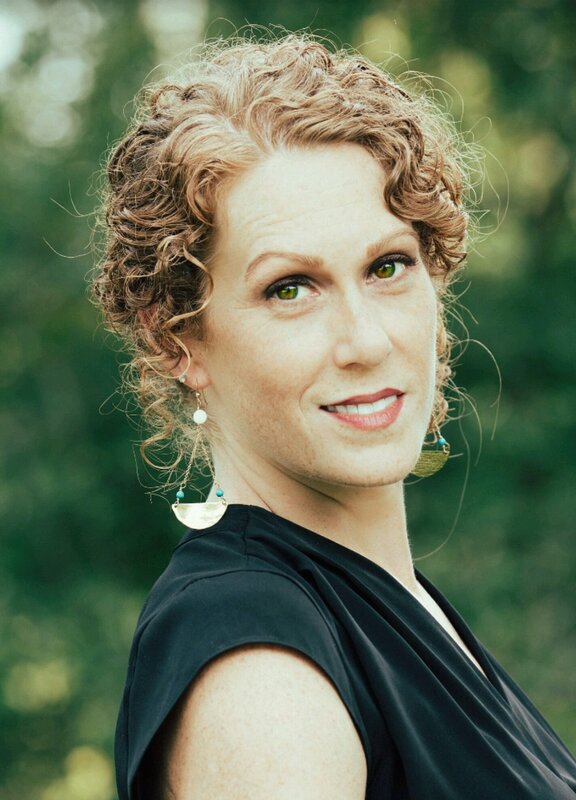 Kim Root is a dance artist and movement educator based in Louisville, KY. She became involved with Pilates when recovering from a back injury. She soon was hooked, and shortly thereafter began a teacher training program through The Pilates Studio in Seattle which was guided and assessed by Romana Kryzanowska. She completed her training in 1996 and has had the opportunity to teach (and learn) at many different studios around the country. Kim enjoys bringing the breadth of her movement experiences and knowledge into her teaching. Ashley Thursby Kern received her training through Lotus Pilates in Bloomington, IN during her time at Indiana University. She completed her comprehensive Pilates Teacher Certiﬁcation Program with training based on the original methods of Joseph H. Pilates. Ashley began Pilates at the age of 9 as a supplement to her focus in dance. Once she felt the effects of what Pilates had to offer, she knew that she wanted to learn more so that she could share the beneﬁts of Pilates with others through teaching. Currently an Artist with the Louisville Ballet, Ashley’s passion is to work with moving bodies through Core Fluency’s new ‘Mend the Gap’ program. This specialized program for dancers will allow moving artists of all disciplines to improve imbalances within their bodies in their efforts to become a stronger dancer. Lauren has been a leader in the fitness scene for over a decade teaching in New York, Los Angeles, and Austin. This Louisville native is thrilled to finally return home and be a part of the Louisville Pilates and movement community. As a former dancer and BFA graduate Lauren has always been drawn to movement. After college she quickly received her NASM personal training and 200 hour Yoga Alliance certifications and began training clients privately. In 2009 she was one of SoulCycle’s - NYC’s premiere indoor cycling studio - first instructors. She helped open SoulCycle studios all over the country and expanded the company’s teacher training program from 2009-2017. During her career as an indoor cycling instructor she experienced a lower back injury that helped introduce her to Pilates. She became instantly hooked. Lauren loved the one on one attention, the small group classes, and how pilates helped alleviate fatigue and imbalance her body had been experiencing for years. She joined a 600 hour classical Pilates certification and apprenticeship with Amanda Vernor of Somaspace while living in Austin Texas. Larissa May was born and raised in Owensboro, KY. She grew up dancing with the Owensboro Dance Theatre and was introduced to Pilates as a Governor's School for the Arts participant. Larissa continued practicing Pilates while furthering her dance career in Chicago. She received her undergraduate degree in Spanish at Northeastern Illinois University and discovered a passion for Flamenco dance with resident company, Ensemble Español. She continues dancing locally with Flamenco Louisville and has been in several Kentucky Opera productions. Larissa completed the Advanced Teacher Training program with The Pilates Center in Boulder, Colorado in November 2018. She is CPR certified and hopes to eventually teach Pilates classes in Spanish. See yourself at CFP! We accept applications on a rolling basis. Now hiring a PMA-certified instructor from a 600+ hour Classical Pilates training program to teach privates and group classes afternoons, evenings, and Saturdays. We are looking for a responsible, independent teacher, with a passion for Pilates, who feels compelled by our mission and vision, and is excited to be part of the Core Fluency Pilates Team. Please send cover letter and resume to laura@corefluencypilates.com, and be sure to ask about joining our free instructor workouts on Tuesday and Friday mornings!